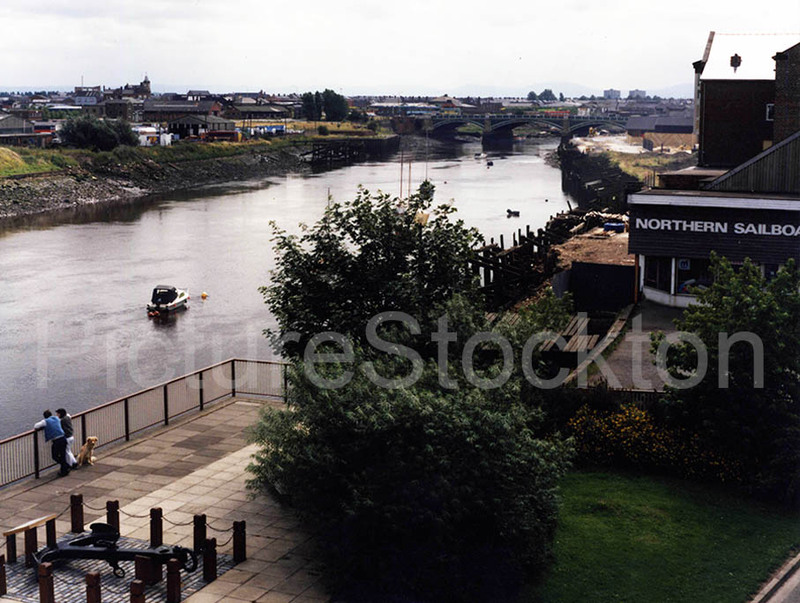 A photograph of the River Tees from the Stockton side, c1980s. Courtesy of Joyce Chesney. Photograph taken by John W Chesney. Michael Taylor – In the 70s I was in the Stockton sea cadets. The place in the picture was called Atkinsons wharf. The cadets did a lot of boating on the Tees and this was one of the locations we used to get on to the river. The motor cutter was anchored in the middle of the river just about across from the wharf so it was easier to got to the motor boat than using the slipway further up the river. If the tide was out we had to use the storm drain nearby because the wharf was then too high up for the river. The man in charge of the boating was Jack Peacock who sadly died a number of years ago. We used to use a small light boat made for polystyrene and fiber glass, this boat was stored back at the unit on Bowesfield Lane so to get the boat to the river we went in Jack’s car, a company car from Radio Rentals he had no roof rack so the boat was placed just on the roof with the bowline tide to the front bumper and the stern tied to the rear but we had to sit in the car with our arms out the window holding on to the boat of course the roof of the car always had deep scratches in the roof, I later worked with Jack at Radio Rentals and no one seemed to mind this kind of damage to his cars.